The Huestis•Cascade™ Simulator is world renowned for accurate, reliable and very affordable simulation. Easily installed, its freestanding design eliminates the need for an expensive floor pit and major room modification. Driven by the latest operating system, it combines versatility with an impressive array of features. Our easy-to-use operator control station, coupled with the hand pendant, puts flexibility at the user’s fingertips. An easily read 17" flat panel monitor displays position feedback and operational status. Asymmetrical or symmetrical field wires offer selectable, precise positioning, while calibration software facilitates set-up and maintenance. 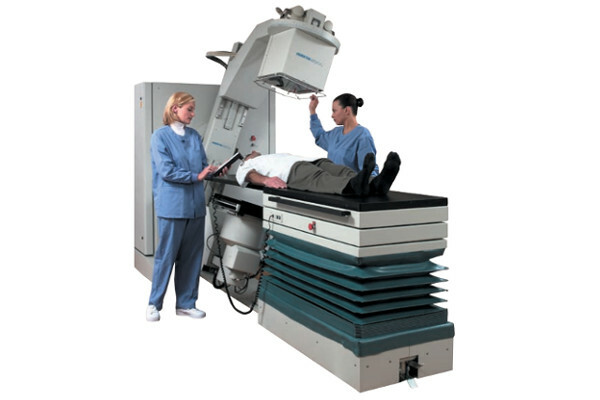 Radiotherapy teams worldwide have come to depend on Huestis Medical for quality and cost-effective radiotherapy products. The Huestis•Cascade™ Simulator is FDA registered and CE certified. 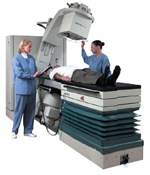 Radiation therapy teams depend on accurate tumor volume definition and precise patient positioning for simulation. Huestis•Cascade™ Simulator’s included diode line lasers, custom block tray adapter, and the highest quality imaging components ensure positioning accuracy. Its unique balance of smooth, precise controls contributes to ease of use, quick set-ups, and patient accessibility. Huestis•Cascade™ Simulator provides precision replication of patient positioning matched to common radiotherapy treatment requirements. The Huestis•Cascade™ Simulator is designed to be installed with minimal modification to an existing facility. Huestis•Cascade™ Simulator’s free-standing design is quick and easy to install because there is no pit required as with other models. Installation time is also drastically shortened with an average one week setup. Huestis•Cascade™ Simulator combines quick and economical installation with impressive features for unmatched performance and value.